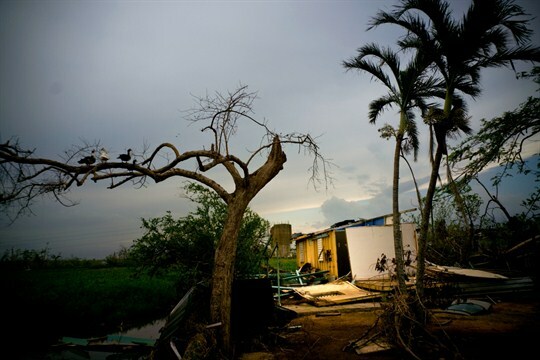 A home destroyed by Hurricane Maria in Toa Baja, Puerto Rico, Oct. 12, 2017 (AP photo by Ramon Espinosa). The hurricanes that swept through the Caribbean last month were a stark reminder of the vulnerability of its small island states to events largely outside their control. In recent years, Caribbean countries have entered a new era of economic and environmental instability entirely different in scope from what they endured only a decade ago at the height of the global financial crisis, which hit many islands hard given their dependence on trade, tourism and investment from the United States. Climate change and the shifting effects of globalization are significant new obstacles to their continued growth.